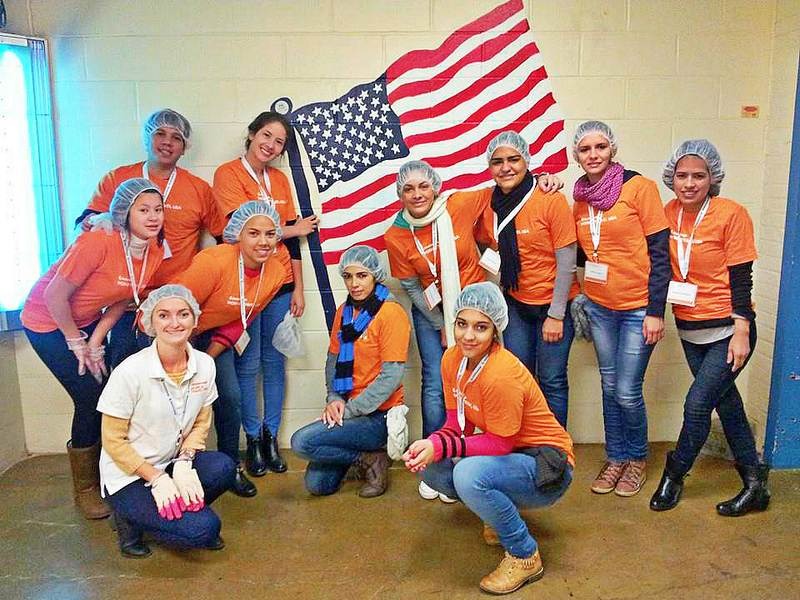 Before their Work & Travel USA orientation in New York City, twelve participants from Paraguay joined InterExchange staff members for a morning of volunteering at God's Love We Deliver (GLWD) in Brooklyn, NY. Since their founding in 1985, GLWD has delivered more than 14 million meals to people in the NYC metropolitan area who are too sick to shop or cook for themselves. The students gathered together with our staff at the GLWD building to learn firsthand about public service and volunteering in the United States. Participants listened to instructions from GLWD staff who were excited to welcome our group of international volunteers. They worked together to pack food that would be delivered to people who, because of their illness, are unable to provide or prepare meals for themselves. Excited to begin practicing their English, students organized and packed meals, worked in teams and shared stories with fellow volunteers. After volunteering, students watched a video presented by God's Love We Deliver and learned more about the organization and the people who benefit from their services. Students enjoyed a pizza party back at the InterExchange office, where they discussed their volunteer experience and the role of volunteerism in American culture. It was a fun and educational experience for all involved. Students enjoyed learning about this unique aspect of American life on one of their first full days in the U.S!